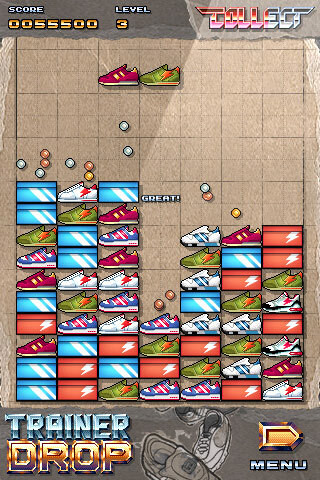 Trainer Drop is a seriously addictive puzzle game for the iPhone, iPad and iPod touch. 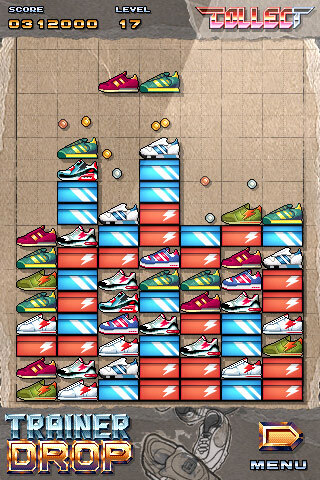 Imagine Tetris, Columns or Dr. Mario... but instead of gems or blocks, you clear the screen of falling footwear! 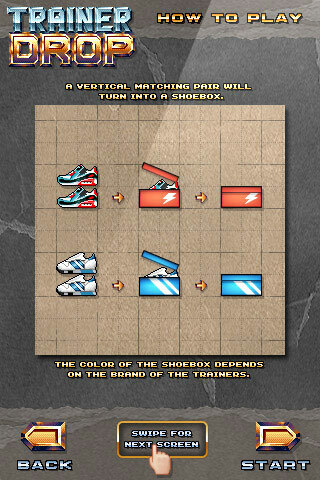 The game features a brand new puzzle mechanic in which you arrange pairs of trainers (or sneakers, if you prefer) into shoeboxes. 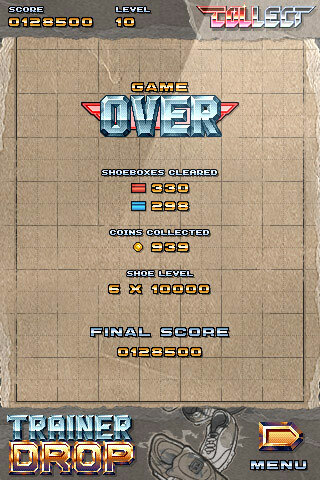 Line those up and they’ll disappear - and the more you clear, the more points, multipliers and coins are thrown your way! Get enough coins and you’ll be given a Collect power-up. Set it off and see more chain reactions than you can shake a mushroom cloud at! 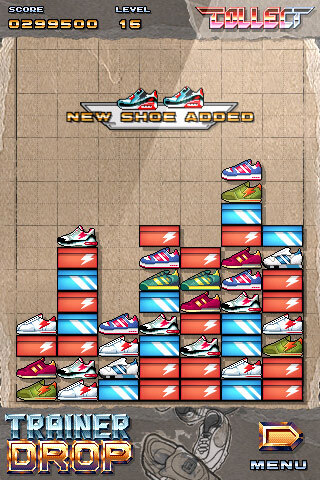 Other power-ups include the Silver Sneaker and the Golden Shoe, perfectly balanced additions that, well... you’ll find out. 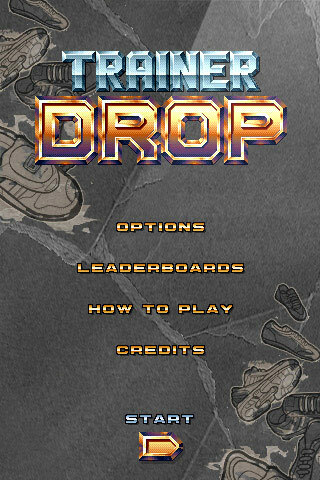 Combining addictive gameplay with tight, intuitive controls, superb animation and pixel perfect presentation, Trainer Drop is an instant classic that you truly won’t be able to stop playing! © 2010 Crashlander Studios/Digital Heavy. All rights reserved.